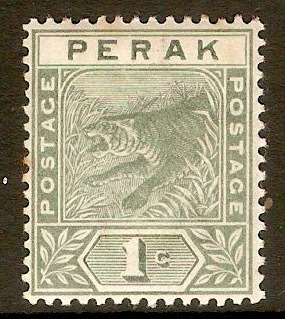 Perak 1892 1c Green. SG61. Mounted mint 1892 1c Green. SG61. 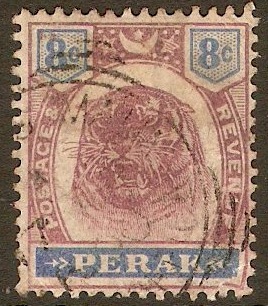 Perak 1892 2c Rose. SG62. Mounted mint 1892 2c Rose. SG62. 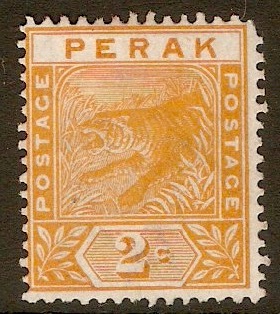 Perak 1892 2c Orange. SG63. Unused 1892 2c Orange. SG63. No gum. 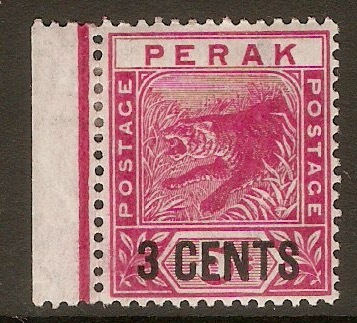 Perak 1895 3c on 5c Rose. SG65. Mounted mint 1895 3c on 5c Rose. SG65. 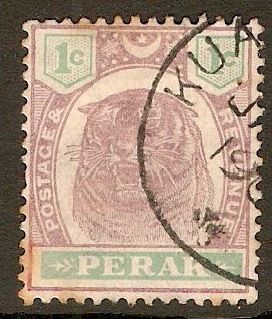 Perak 1895 1c Dull purple and green. SG66. Fine used 1895 1c Dull purple and green. SG66. NOTE: Some foxing. 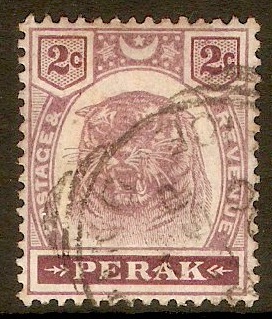 Perak 1895 2c Dull purple and brown. SG67. 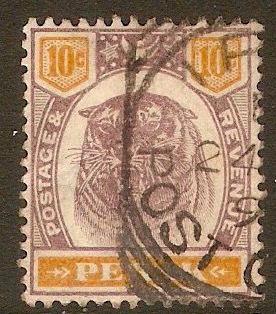 Used 1895 2c Dull purple and brown. SG67. 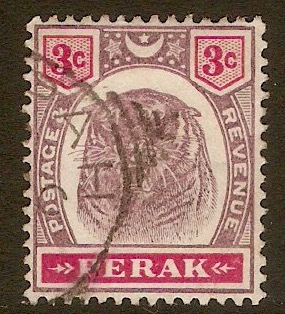 Perak 1895 3c Dull purple and carmine. SG68. Fine used 1895 3c Dull purple and carmine. SG68. 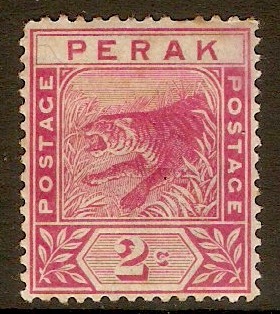 Perak 1895 8c Dull purple and ultramarine. SG71. Used 1895 8c Dull purple and ultramarine. SG71. 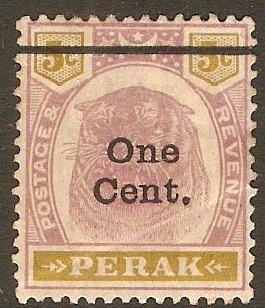 Perak 1895 10c Dull purple and orange. SG72. Fine used 1895 10c Dull purple and orange. SG72. 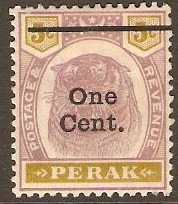 Perak 1900 1c on 2c Dull purple and brown. SG81. Some damage 1900 1c on 2c Dull purple and brown. SG81. NOTE: Diagonal crease.